Steve Jackson Games was an important game company in my own formation as a gamer. I don't blog about that very often, because this blog is mostly about RPGs, not war games. Thus, when Steve Jackson won the rights to republish The Fantasy Trip, I really wanted to support him on the endeavor and managed to scrape together enough cash to get in on the Kickstarter. I must admit that I am very pleased with the quality of this project; however, I do have one (minor) quibble. I don't like the character sheet. Admittedly, this is something I can say about the vast majority of RPGs. About the only character sheets I would readily use in a game are the sheets that came with B/X and those that came with early editions of Champions. Other than that, I usually have to comb the interwebs for someone who has created a different version or I have to make my own. 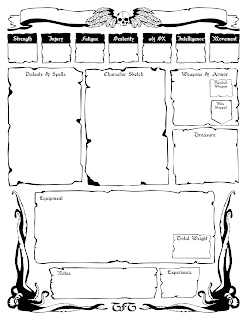 I have a lot of difficulty with character sheets; I envy your skills. 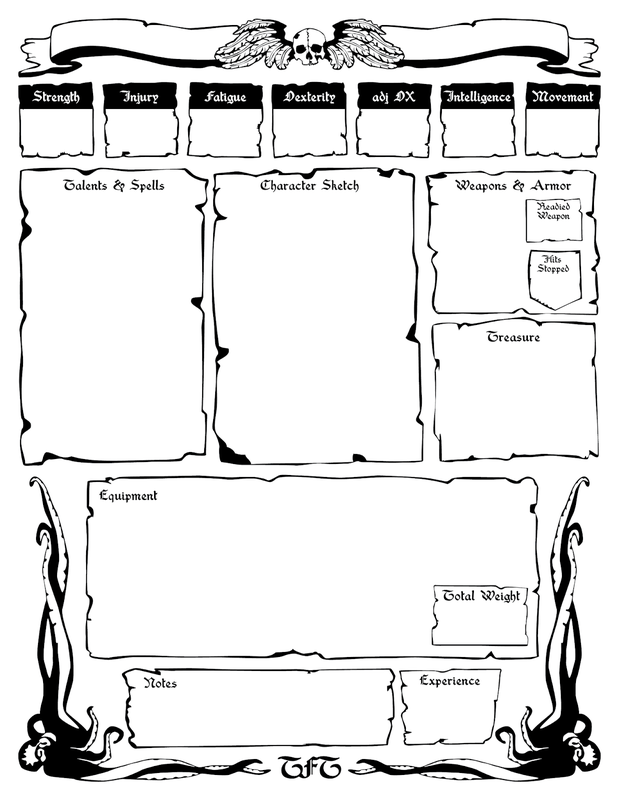 FWIW, has did think the old Vampire/WoD char sheets were pretty good (attractive and practical). I used them extensively back in the 90s. Very nice! Thanks for doing this!